Buy 11, and get 1 FREE of any kinesio tape product. This represents an additional savings of approximately 8% on that item. We will add the free product to your order, prior to shipping. 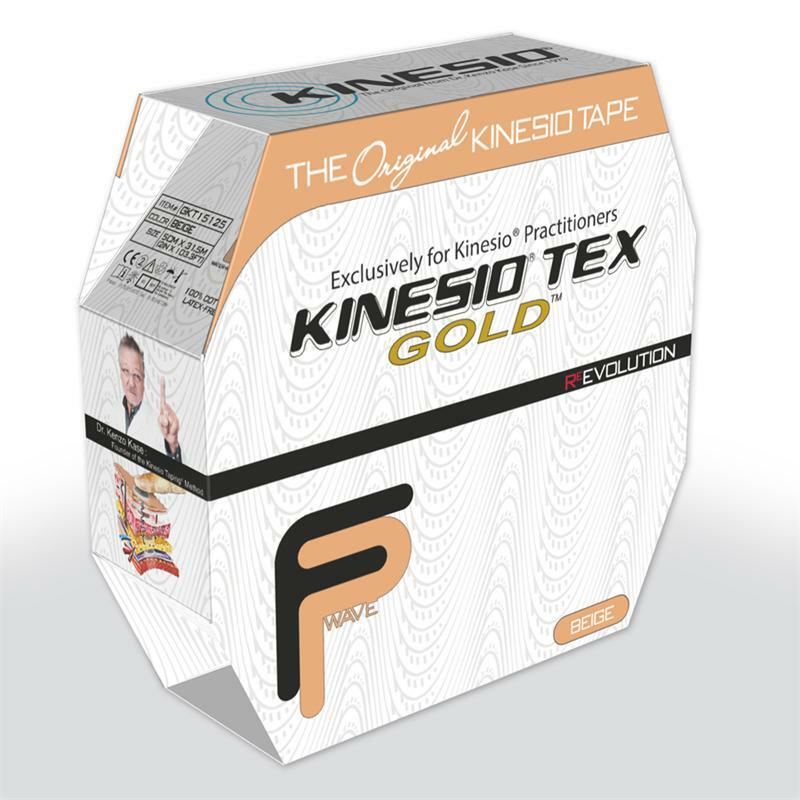 The latest ReEvolution in Kinesio Tex tape. New "Finger Print" (FP) tape pattern mimics a gentle touch, while providing a more effective hold, compared to the traditional "wave pattern" found in Kinesio Tape Classic. The Kinesio Taping Method is designed to facilitate the bodys natural healing process while allowing support and stability to muscles and joints without restricting the bodys range of motion. It is used to successfully treat a variety of orthopedic, neuromuscular, neurological and medical conditions.